A sighting of a missing German woman has been reported to police. 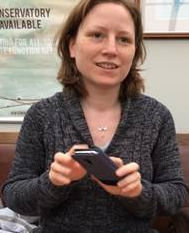 Sasja Schiffer was last seen at 4pm on Tuesday in the Berryden area of Aberdeen. Today she has been sighted by “multiple members of the public” in Peterculter. Police initially theorised she could be headed to Glen Coe – but suspect she might be in Deeside after today’s sightings. Miss Schiffer is described as being five foot two, slim, with shoulder-length light brown hair and was last seen wearing a navy clothes and trainers. A spokesperson said: “Anyone who has knowledge of Saskia or her whereabouts or comes across anybody fitting her description is asked to contact Police Scotland via 101 quoting inc 2591 of June 5 2018”.